National League Division Leaders: Which Teams Are For Real? The unofficial halfway point of the 2010 baseball season was culminated by the National League's 3-1 win of the All-Star game on Tuesday night. In addition to the game acting as a celebration of baseball itself, the All-Star break often serves as an opportune time to reflect on a team's position in the standings and what it can realistically achieve going forward. Which teams will be buyers or sellers at the July 31st trade deadline? What prospects will be called up that can make a difference for their respective team? How will major injuries play a role the rest of the way? These are questions asked by all 30 teams this time of year. Some teams have greatly overachieved—San Diego Padres—while others have underachieved—Seattle Mariners. As of July 11 (the last day of regular season games before the break) the Atlanta Braves, Cincinnati Reds, San Diego Padres, New York Yankees, Chicago White Sox, and Texas Rangers were all in first place of their respective divisions. The Tampa Bay Rays currently hold the lead in the AL Wild Card race while the Rockies sit atop the Wild Card in the NL. Which of these teams are for real and which have the best chance of faltering down the stretch? With the return of Jair Jurrjens from a severe hamstring injury that sidelined him for most of the first half, the Braves starting pitching staff looks about as solid as it did since the days of Maddox, Glavine, and Smoltz. While Jurrjens may not have been stellar in his first two starts back from the disabled list prior to the break, he rounds out the rotation in a way that makes Atlanta dangerous any day of the week. Meanwhile, Tommy Hanson has proven that he will not be intimidated by the responsibility of being the ace of a staff. And at 9-4 with a 2.30 ERA, Tim Hudson is making a huge case to win the National League's Comeback Player of the Year Award. However, Hudson could be competing with teammate Billy Wagner for the award when all is said and done. Wagner has saved 20 games in 23 opportunities and currently holds a 1.21 ERA after returning from Tommy John surgery in the second half of the 2009 season. While it seemed to be clicking during May and early June, the Atlanta lineup is too inconsistent to invest any true confidence in it. Chipper Jones, who contemplated retirement earlier this year, has sadly proven that he is simply a shell of himself at this point of his career. Troy Glaus, and the surprising Eric Hinske, have cooled off significantly since last month. Melky Cabrera has proven that he is nothing more than a fourth outfielder. This comes as even worse news to the currently injured Nate McClouth who lost the job to Cabrera before suffering a concussion and being put on the disabled list in early June. And while rookie outfielder Jason Heyward has had a solid year so far, batting .251 with 11 home runs and 45 RBI, even he has proven that the expectations set for him at the beginning of the year were simply unfair. 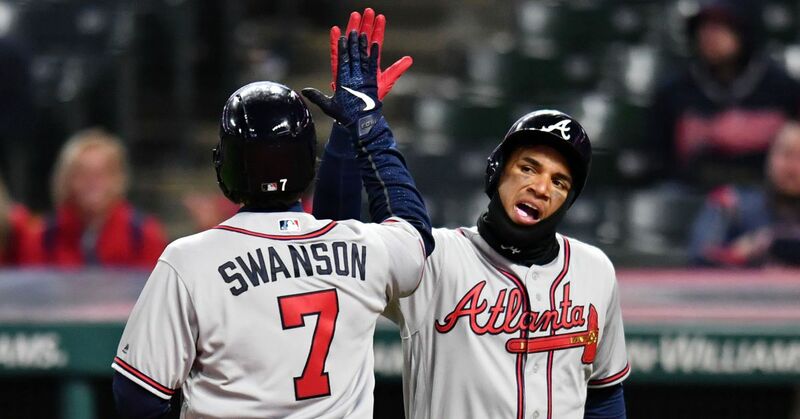 Despite the inconsistency of the starting lineup, the starting pitching has to make one feel very good about Atlanta's chances. In the analysis of the starting lineup, I also failed to mention the surprising production from second baseman Martin Prado and the continued leadership of catcher Brian McCann. Plus the recent addition of short stop Alex Gonzalez. 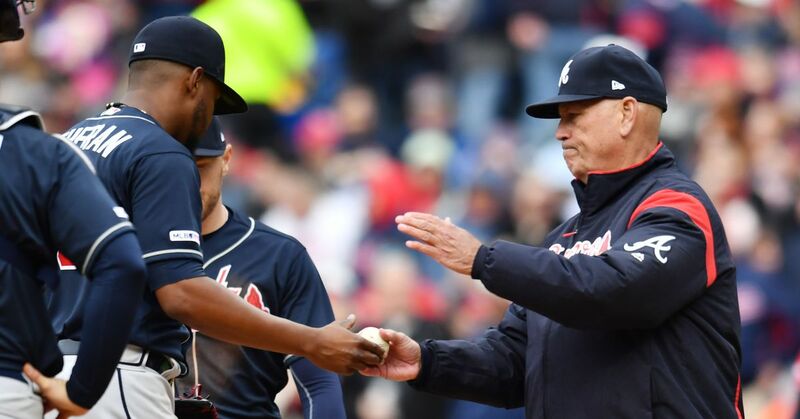 With a four game lead in the East coming back from the break, the Atlanta Braves could definitely hold on here in the second half of Manger Bobby Cox's final season. This year's Reds lineup has the people who constantly pick Cincinnati to win the Central year after year finally smiling. Led by first baseman Joey Votto, who had a career first half (.314 AVG, 22 HR, 60 RBI), the Reds have become a sort of Murders Row of the Midwest in 2010. Third baseman Scott Rolen and outfielder Johnny Gomes have each revived their ability to hit for power in the tiny Great American Ballpark, while second baseman Brandon Phillips seems to have found a home in the leadoff spot. With complimentary players such as Orlando Cabrera, Jay Bruce (did anyone think Bruce would ever be considered a "complimentary player"? ), and rookie Drew Stubbs filling the holes in the lineup between the big three power threats, the Cincinnati lineup is undoubtedly the most dangerous in the National League Central. No offense to Bronson Arroyo, but I don't see him as the ace that a team needs to be considered a legitimate playoff team. While the Reds starting lineup may be enough to carry the team to the playoffs, great pitching is what wins championships. The St. Louis Cardinals (a half game the Reds in the NL Central) have a 1-2-3 punch in its starting rotation with Wainwright, Carpenter, and Garcia. Johnny Cueto, Mike Leake, and Travis Wood may look nice in a starting rotation right now and almost certainly will be excellent pieces in years to come, but are the Reds going to be able to count on the three youngsters down the stretch as the pressure begins to build? Maybe. But most likely not. Aaron Harang's regression and the uncertainty of Edinson Volquez's health don't bode well for Cincy either. It is tough to say Cincinnati won't make the playoffs when so much progress seems to have been made. But can the Reds really outlast the tested Cardinals for the rest of the season? Inexperience and manager Dusty Baker's mishandling of the bullpen will ultimately lead to Cincinnati's 2010 demise. The Padres have done it the right way so far. Their overall ERA at the break was at 3.25, while their bullpen ERA is down to 2.66. As a matter of fact, San Diego currently has only one pitcher in the bullpen with an ERA over 3.00. And the Padres need every bit of it, because their offense is certainly nothing to speak of. With 24 saves in 27 chances and a 1.88 ERA, Heath Bell has established himself as a leader of the team, despite trade rumors earlier in the year. However, those rumors have since ceased, as it appears the Pad's may be buyers rather than sellers over the coming weeks. Meanwhile, youngsters such as Wade Leblanc and Matt Latos have pitched very admirably while veterans such as Jon Garland and Kevin Correia have anchored the rotation. It's tough to say that Leblanc, Latos, and even Gregerson out of the bullpen will keep up this torid pace. However, it's easy to say that it has been these pitchers that have gotten San Diego this far. Think of the Padre starting lineup for a second. Now, unless you live in southern California, can you name any starter besides All-Star first baseman Adrian Gonzalez? The Padres currently rank 12th in the National League in runs scored (376) and 14th in batting average (.250). Imagine how putrid those numbers would be without Adrian Gonzalez's 56 runs driven in and .301 batting average. To reiterate, pitching usually wins you championships. But that's not taking into consideration an offense as weak as San Diego's. Simply put, the Pad's better trade for someone to protect Gonzalez soon or they will fall. Put an asterisk next to that "no". The Padres are still very much a legitimate threat to make the playoffs, and very well may have enough gas in the tank to win the Wild Card. But the Rockies seem to be getting their act back together. And since 2007, the Padres know all too well that their position in first place will be in serious jeopardy until the day they are playing Game One of the Division Series. The Rockies currently rank second in the National League for both runs scored and batting average. The recipe is simple when it comes to the offense—a lineup filled with young studs and sprinkled with experienced veterans. In Colorado, former forces such as Jason Giambi and Todd Helton are there to guide the young bats of Troy Tulowitzki, Carlos Gonzalez, and Ian Stewart for a perfect combo of contact, power, speed, and defense. The Rockies currently rank in the middle of the pack for starting pitching with an average 4.12 ERA—that's 10th in the National League. Certainly not good, but not terrible when you consider their offense. However, if you remove Ubaldo Jimenez's career year (2.20 ERA, 15-1, 113 SO), the team's starting ERA shoots all the way up to 4.75. That would be 15th in the National League. In addition, the Colorado starters not named Jimenez have only accumulated 15 wins total. That's the same amount of wins that Jimenez has himself. The Rockies are rarely mentioned as real buyers when it comes to the July 31 trade deadline. However, unless Jeff Francis and Aaron Cook decide to really step up their game, or unless Jorge De La Rosa pitches to his perceived potential in the second half, Colorado must make a move to bolster that rotation. The Rockies have something on their side that most teams currently vying for the NL Wild Card spot do not have—experience in pennant races. We've seen Colorado pull off some pretty lofty feats before when it comes to making the playoffs. Despite the push from teams such as the Giants and Mets, expect Colorado to hold on and not only claim the Wild Card, but perhaps make a run at the National League West.